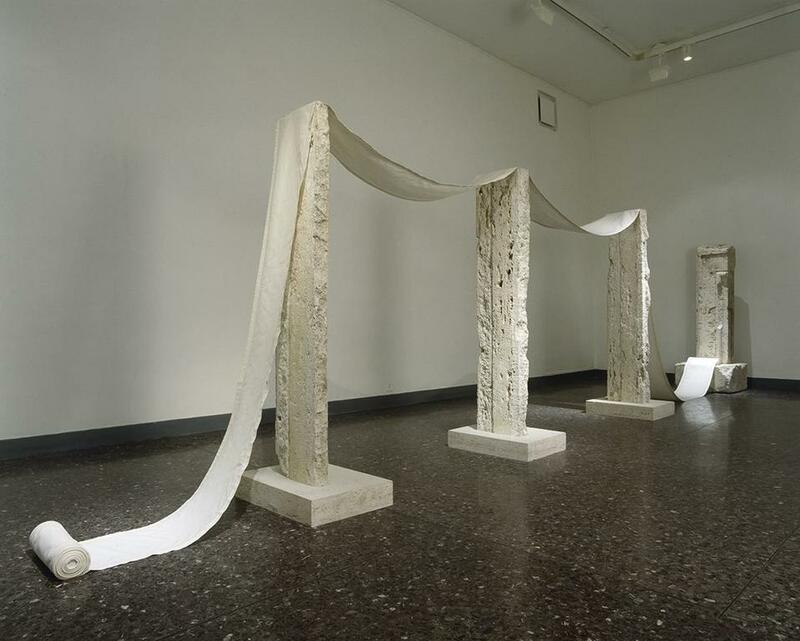 Materials: travertine, rope, linen, water, motor. For her personal exhibition, Dompè chose – homage to Rome - a perfectly Roman theme, recreating the Terme (Roman Baths), the favorite center of Roman social life. 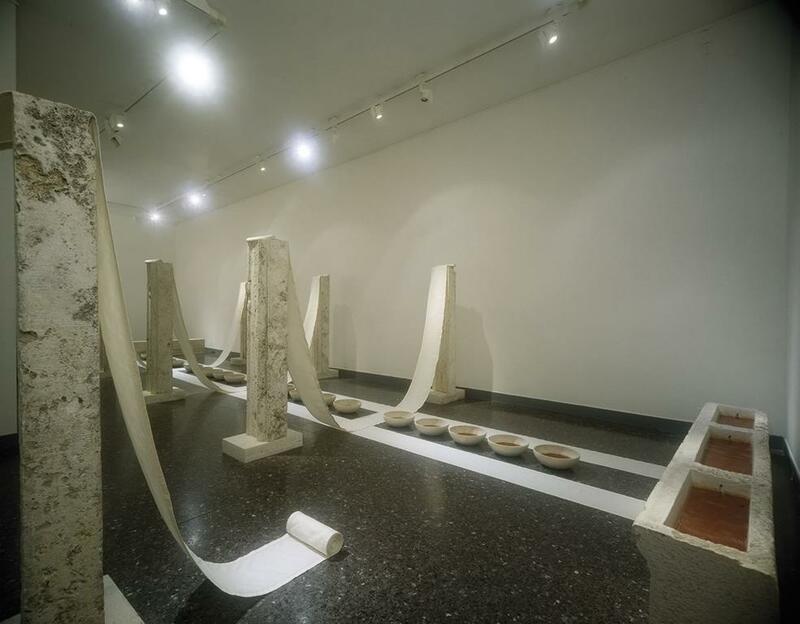 But if the Terme evoke monumental remains, in the installation by Dompè they take on, instead, an abstract and light quality, in the progression of the finely fluted stone pilasters, lightly linked by a strip of linen carefully finished with a hem à jour. 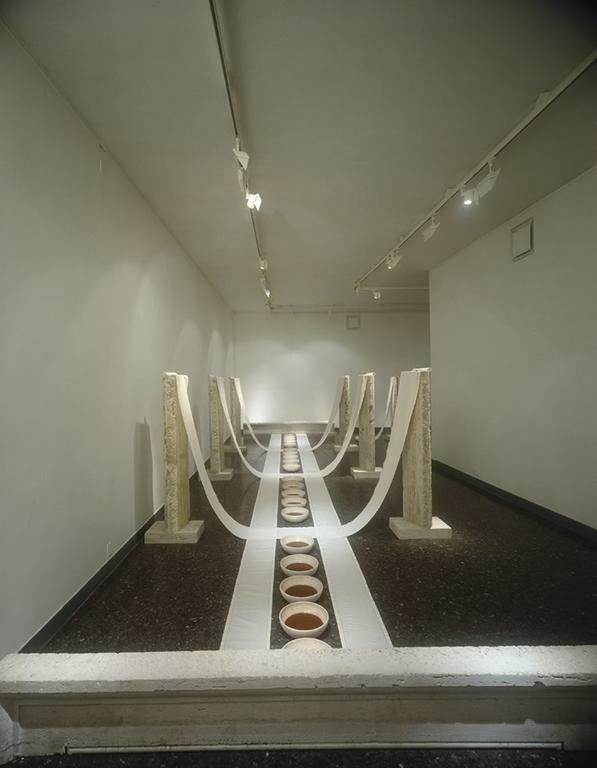 In the redesigned environment of the Terme, almost as to split the neutrality of the colours (the white of the linen and of the walls, the clear colour of the bowls and of the travertine, the dark marble of the pavement), red water bubbles from a font by means of a motorized pump that by its muffled hum adds a musical element to the work. 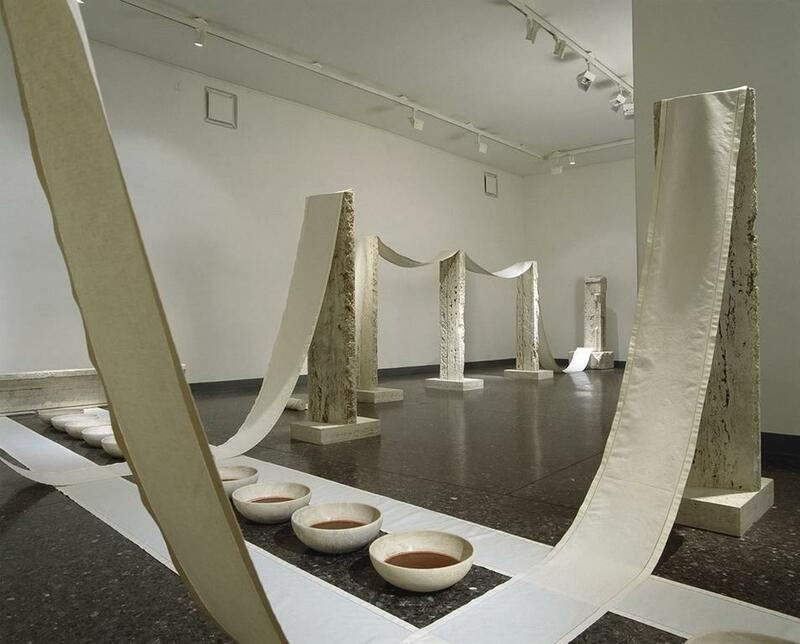 The same water, collected in the 20 bowls arranged in groups of five and stressed by the strip of cloth that links the three pairs of pilasters, gives a poetic and animated presence to the parallel course of the pilasters. 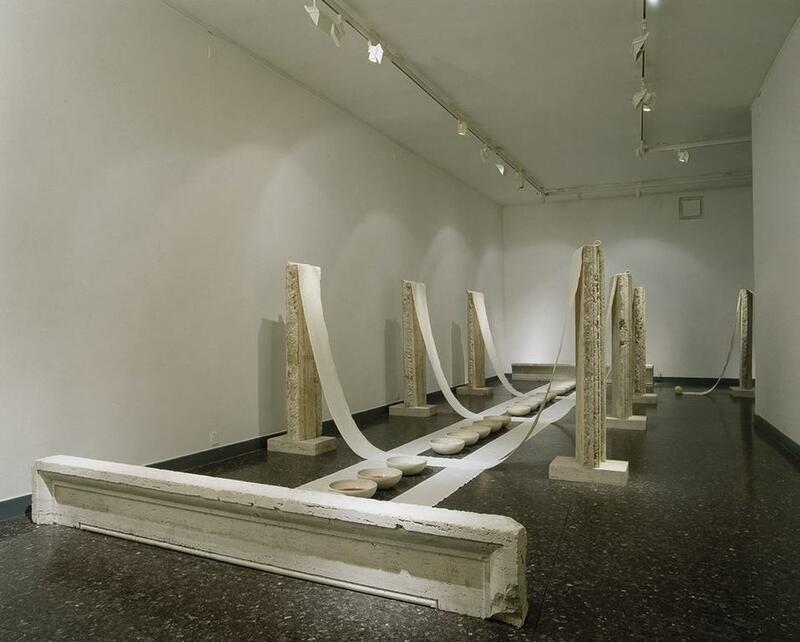 Another four pilasters, as though united by the soft quality of the linen, continues the installation that scans and redesigns the entire exposition space.